Selling a home in Kelowna can be both an exciting process and a stressful one. Your home sale represents a world of opportunity, but there's also the stress associated with factors that are beyond your control. How can you make the most on your home sale? What if your house doesn't sell in a timely manner? Successfully listing your home is about more than posting a for sale sign at the end of your driveway. You need to determine a competitive listing price, stage your home so that it appeals to most buyers, market your property so that it gets maximum visibility, navigate complex closing contracts, and more. As such, an experienced and reliable Kelowna real estate agent can be an invaluable resource to have throughout the process of selling your home. To work with an exceptional Kelowna real estate team from the onset, contact Vantage West Realty. Our cutting-edge real estate model has enabled us to sell over 1,000 homes since we began in 2008. Today, we sell a home every 12 hours. Decode the value of your home with our Home Evaluation tool. Read up on our cutting-edge Marketing Plan. Our Community pages allow you to browse similar properties in your area. 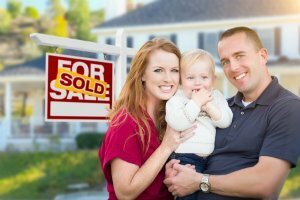 Selling a home isn't simple, and when you list your Kelowna home for sale on the market, you want to be sure that your house sells quickly and for top dollar. In a market as competitive as Kelowna's it's essential that your home sells in a timely manner so that you have the freedom to move ahead with your plans whether they take you to a different part of the city or a different part of the continent. At Vantage West Realty we understand that listing your home can be a frightening process. Many sellers worry about what happens after they sell their home. Will they be able to find a new home quickly enough? Or will they be homeless for a time? Unlike other agents in our market, we offer a 29 Day Guarantee Program to solve this issue. 29 Day Guarantee Program. Find Out If Our 29-Day Sold Guarantee Is Right For You! When it comes time to list your home, one of the most important things you can do is set the right listing price. If a home is priced too high, it is at risk of sitting on the real estate market for a long period of time. The longer it sits on the market, the more difficult the home is to sell. If a house is priced too low, it may sell more easily, but then the homeowner isn't capitalizing on the full worth of their home. This means that when they go to purchase their next property, their budget will be that much smaller. When you work with an experienced real estate specialist who knows their market, they will help you price your home competitively so that it appeals to buyers. Often, this will even result in competing bids that ultimately drive the sale price of the home up. At Vantage West Realty our team of ten real estate specialists each have their own area of expertise. As a result of this, regardless of whether you're selling a waterfront luxury home along Okanogan Lake, or an affordable condo, we can help you set a price that's appropriate for your unique market. Marketing is a critical step in the home sale process. When you list your home, you want to ensure that it gets maximum visibility. In order to get your listing in front of as many potential buyers as possible, we'll list it on the MLS® where it will be accessible not only on our website, but on every other real estate website that subscribes to the feed. We will also regularly share listings on social media platforms like Facebook and Twitter. Kelowna is home to a number of incredible luxury properties. Located on the shores of Okanogan Lake, these million dollar homes are incredible and desirable, but not every buyer can afford a luxury property. That's why it's important that your home is marketed to the right buyer. We are constantly working with a diverse pool of buyers and sellers. What this means is that we can easily pair you with a buyer who is looking for exactly what you have to offer. Each month, we spend tens of thousands of dollars on marketing so that you can sell your home in a timely manner to the best possible buyer. While once it was a given that your real estate agent would negotiate the price of your home sale in person, today, it is increasingly more common for real estate agents to negotiate via email. At Vantage West Realty we believe the best deals are struck in person. As such, that's the only way we negotiate and we're happy to say we have a reputation for getting our sellers between $3,000 and $5,000 more on average. The final stage of any home sale is closing. The closing process is the period of time between when the seller has accepted the buyer's offer and when the buyer takes possession of the home. This process is populated by a substantial amount of paperwork. This is also when the buyer may request that certain home inspections are done. Closing costs are often associated with this final stage and it's important to have your real estate agent present to help you dodge unnecessary fees. Once you've successfully sold your home, you can start your search for a new home knowing exactly how much you can afford moving forward. If you're interested in purchasing a home in Kelowna, we'd be happy to help you explore the available homes on the market and ensure that you find a new property that fits within your budget and meets the needs of you and your family. Still have questions about the home selling process? Contact Vantage West Realty to learn more. Our team of highly trained experts will be happy to answer your questions.